Ready…Set…Celebrate the Arts at Overlake! 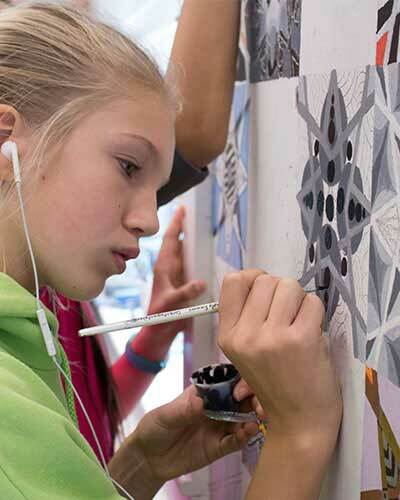 Overlake Friends of the Arts (OFTA) provides support for arts programs at The Overlake School and we welcome the participation of all members of our community—parents, faculty, alumni, students and friends—throughout the year. But spring is a special time. That's when our annual ArtsFest occurs and when the Overlake campus comes alive with art exhibits, musical performances, and a lively auction. Proceeds will benefit Overlake Arts programs. FRONT-OF-HOUSE. OFTA volunteers assist at drama and music performances with lobby essentials such as ticket sales, refreshments and performer recognition. Behind the scenes, OFTA supports performer recognition and helps provide food for extended and weekend rehearsals. MUSIC TRIP. 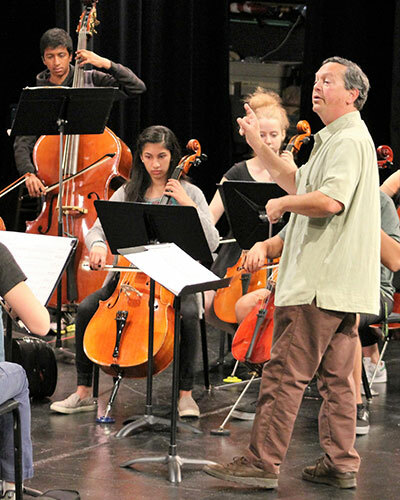 Each year, an upper school music ensemble travels to a music festival or competition, giving students an opportunity to share their talents, learn from professionals, and connect with the broader world of performing arts. Funds raised at the ArtsFest Auction are used to alleviate the cost for each student, with a particular focus on making this program accessible to all students regardless of financial need. PRODUCTION SUPPORT. 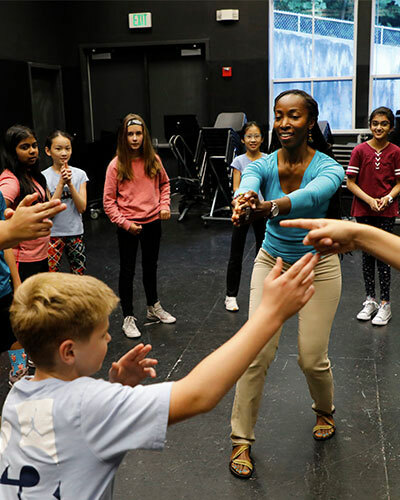 OFTA parents act as liaisons between creative faculty and student performers and artists, coordinating meals for long rehearsals, work parties, and post-production celebrations. FUNDING. Through flower sales and other fundraising projects, OFTA provides financial assistance for specialty workshops, productions, and other arts events. OFTA volunteers meet monthly on campus and welcome the participation of all members of the Overlake Community. Click here for a schedule of upcoming OFTA meetings.